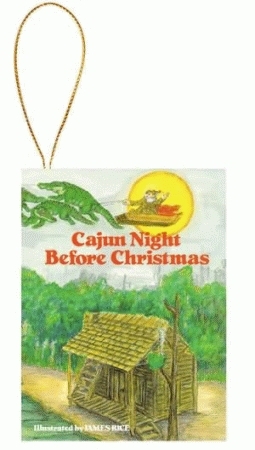 More than forty-five years after its first appearance, Cajun Night Before Christmas® has become a modern classic that has sold more than 1,000,000 copies and has served as the model for Pelican’s ongoing, best-selling Night Before Christmas Series. This miniature edition comes ready to hang on the Christmas tree. It will delight both young and old with its beautiful full-color illustrations and lively story, a timeless addition to Christmas celebrations across the country. James Rice, in his long, distinguished career as an author and illustrator, and with more than a million and a half copies of his books in print, ranks among the nation’s best-selling creators of children’s books.